We provide a range of cost-effective, professional, and performance driven web design & development services. We specialise in custom web development to enhance your existing website or web application, providing what off-the-shelf web solutions don't. We also integrate and customise content management systems into many of our websites, giving you the ability to make updates to your website quickly and without our help. For more information or to discuss your requirements contact us. We provide design, development and hosting services for busy ecommerce sites Australia wide. We know what's needed to effectively build, manage and host a wide range of eCommerce platforms as well as building custom functionality based on your business requirements. eCommerce is still a massive growth area in Australia and around the world and you can be a part of it! Contact us today to discuss tailoring a solution for your ecommerce needs. 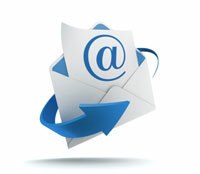 Deliver personalised messages to your customers and track the effectiveness of your email communications. Our email marketing systems are cost effective, web-based and are a simple method of communicating with your customers and leads. You don't need to worry about the technical setup or maintenance of the system, we'll take care of that for you. With varying limits on the number of emails sent, stacks of pre-built email templates to choose from, and detailed reporting on your email marketing campaigns, you too can benefit from this proven way to generate business and loyalty with your customers.